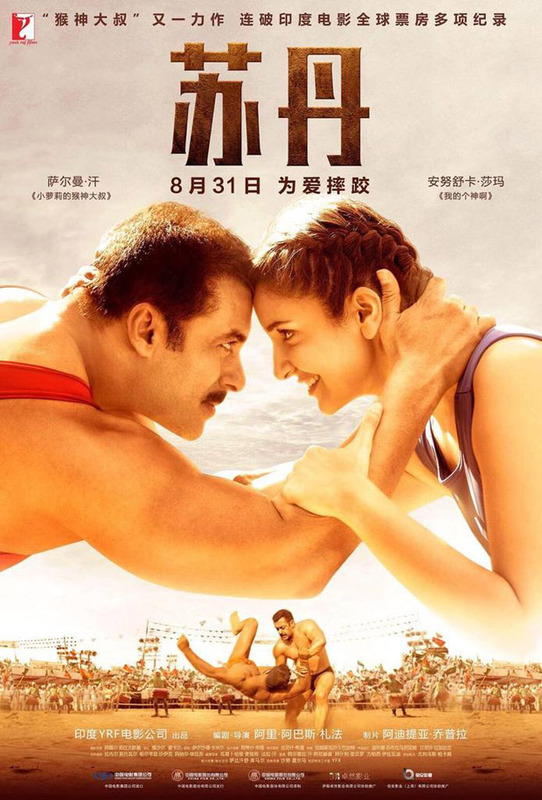 Salman Khan and Anushka Sharma starrer wrestling drama Sultan, which was a blockbuster, is all set to release in China on August 31. This was the first collaboration between Ali Abbas Zafar and Salman Khan. Sultan, now, becomes the sixth Bollywood film to release in China after a series of films including Hindi Medium, Secret Superstar, Bajrangi Bhaijaan, Baahubali 2: The Conclusion and Toilet: Ek Prem Katha. While Salman Khan and Ali Abbas Zafar are busy with their third film together titled Bharat, the director is very excited for its China release. Speaking to a daily, he said that everytime a film releases even if it has already released in India, it is very exciting as a new audience gets to watch the film and one gets a new perspective. As China has become a huge market for Indian films, Ali is excited to see how the audience in China will react after watching Sultan. This will be Salman Khan's second film releasing this year in China after Bajrangi Bhaijaan which was helmed by Kabir Khan. Ali Abbas Zafar hopes that if the box office numbers are anywhere close to Bajrangi Bhaijaan, he will be more than happy about it. Meanwhile, Ali Abbas Zafar and Salman Khan are busy with the shooting of Bharat. The film stars Katrina Kaif, Disha Patani, Tabu, Sunil Grover, Jackie Shroff and Nora Fatehi. The film is set to hit the screens on Eid next year. Also Read : Did Aishwarya Rai Bachchan BLAME Salman Khan for not being able to do Padmaavat and Bajirao Mastani?